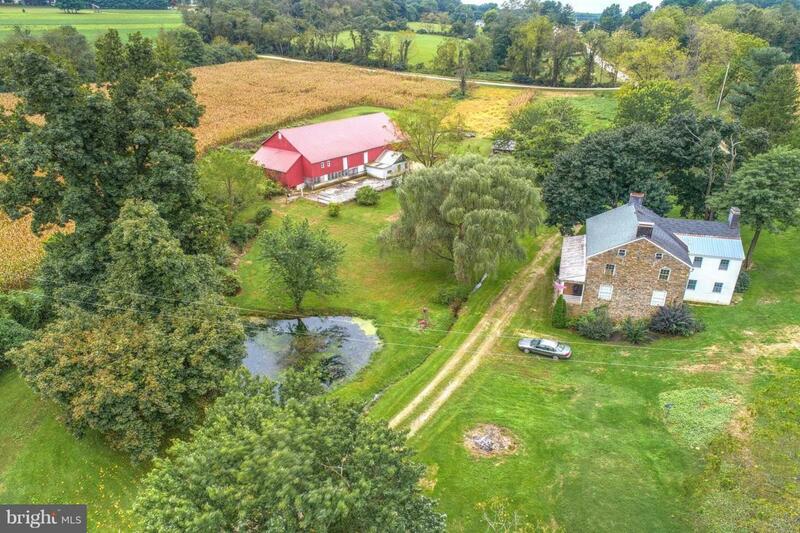 Circa 1850 stone "Flying Dutchman" farmhouse with a 40' front porch to enjoy rocking on and surveying the pond and fields. There is approximately 360 s.f. addition that contains the modern baths and laundry room. Home has a modern kitchen, but is still heated by a wood stove. The home boasts 4 fireplaces two of which are large cooking hearths---one in the original back kitchen and one in the basement. Septic system was installed when this property last transferred in January of 2005. The water is supplied by a spring fed sprig house and a jet pump in the basement. 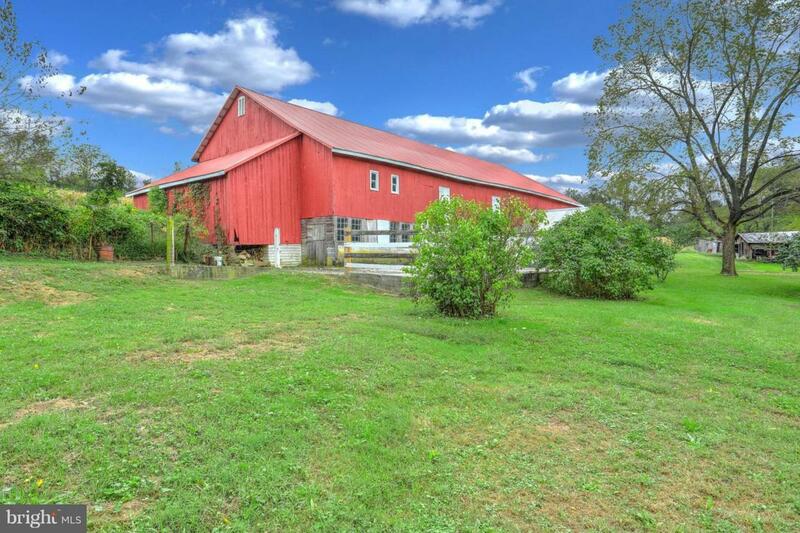 The bank barn set up for cattle had a new roof installed before 2005, by the previous owner. The home itself boasts 18" stone walls and deep window sills. Most of the original fir woodwork and floors remain intact. 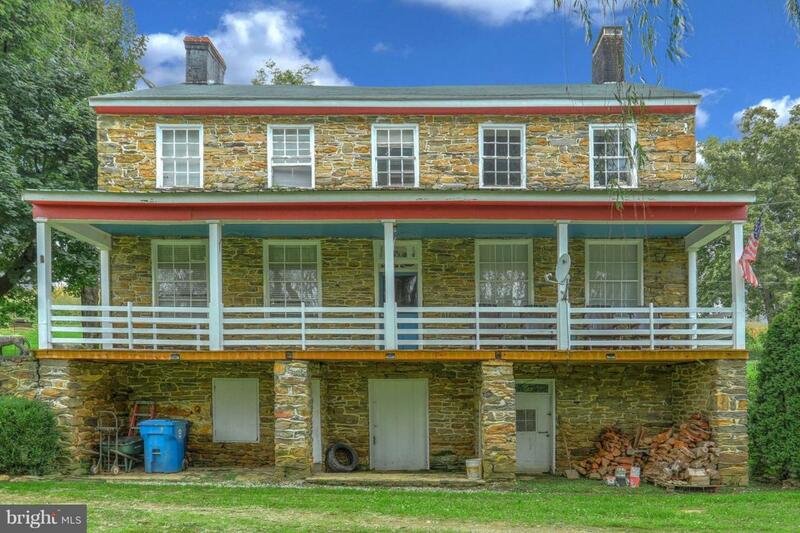 This is a rare opportunity obtain an "unadulterated" stone home that is approximately 168 years old. The addition is a seamless transition to afford modern baths. The only "known" working fireplace is the one in the formal dining room. The fields are currently leased on an annual basis and the current crops are reserved. 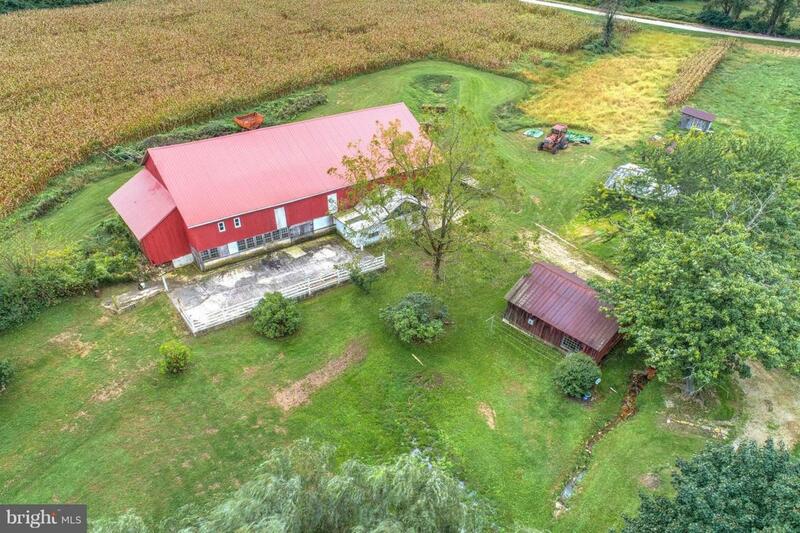 The property boasts excellent soils Mt. Airy and Manor channery loams, with gentle 8 to 15 percent slopes.